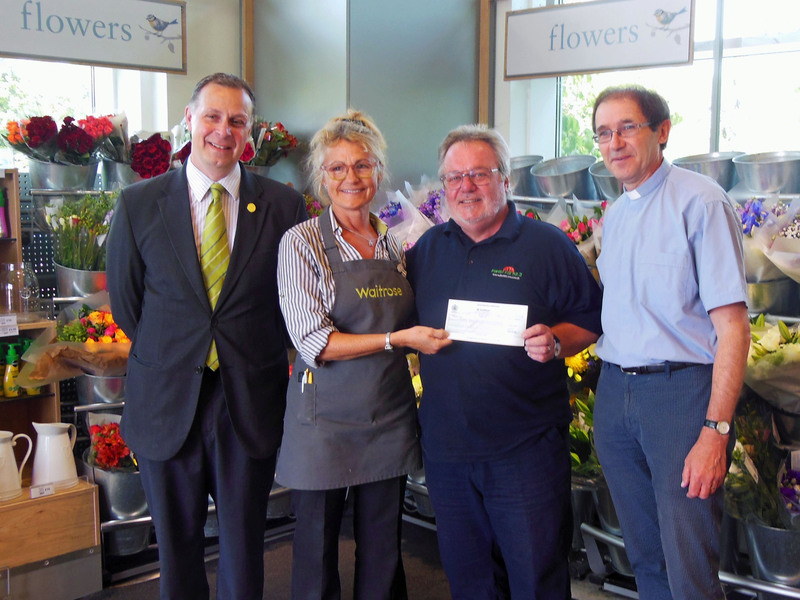 Receiving a cheque for £380 for the Friday Night Bus from Wimborne Waitrose on 18th July, 2017. Thank you Waitrose and for all their customers who chose to support the Tea & Toast Bus in this way. 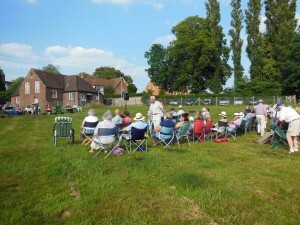 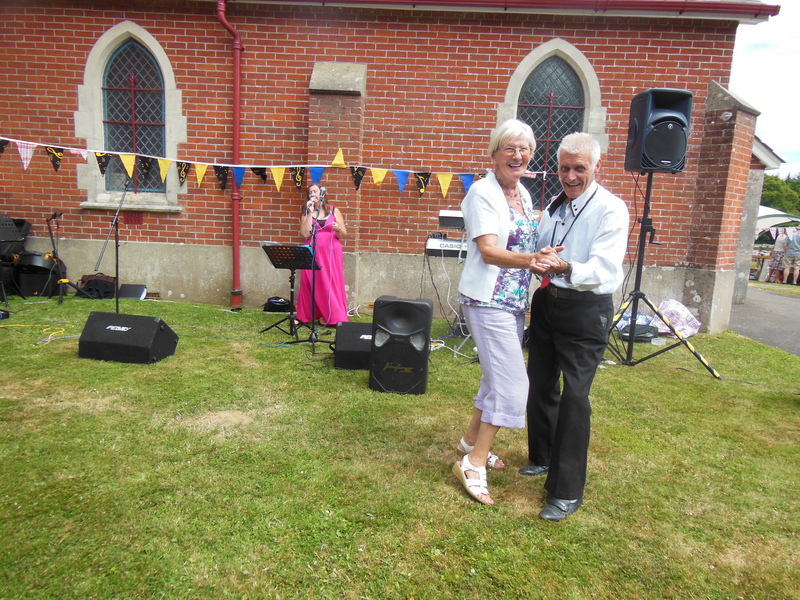 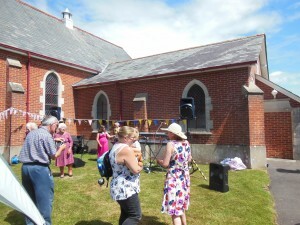 Here we are on the lawn at Holtwood on 16th July, 2017 celebrating Rural Mission Sunday. 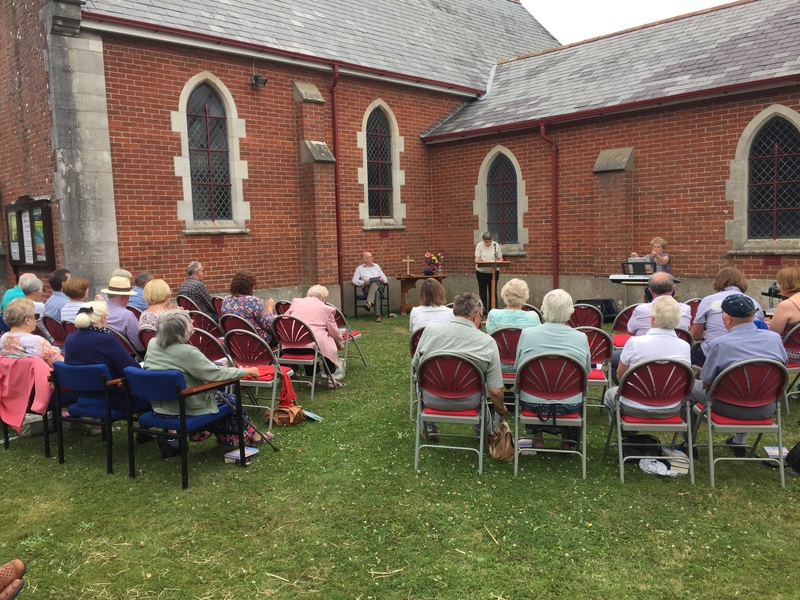 We thanked God for giving us so many opportunities as a church in the community – and also asked for guidance on how we should outreach in the future. 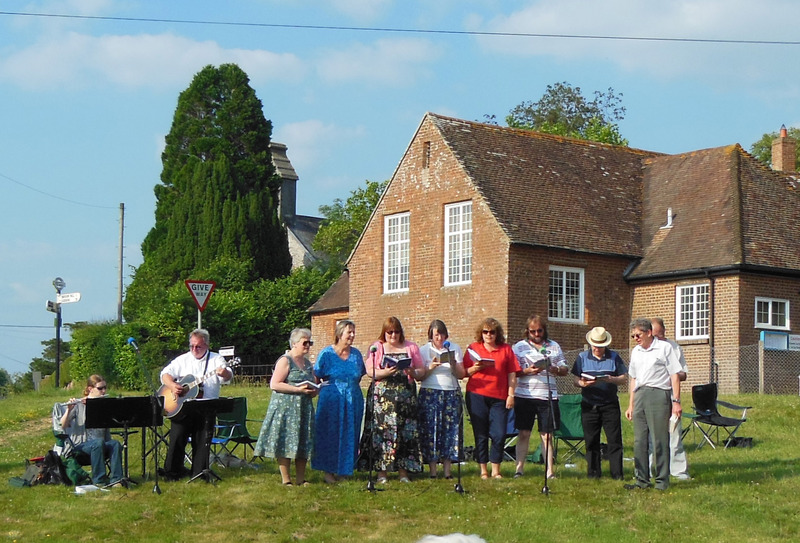 Here we are on Holt Village Green with friends from Woodlands and local Anglican churches for our annual Songs of Praise – a glorious evening with great singing! 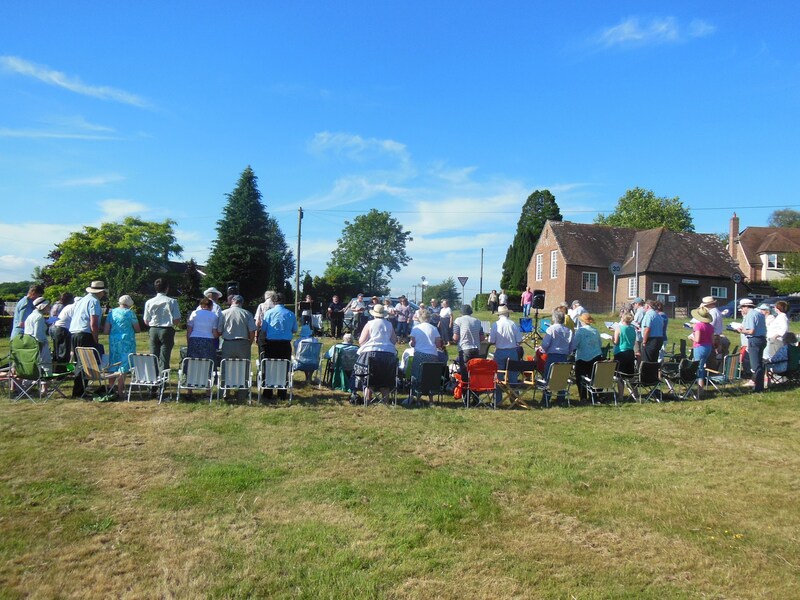 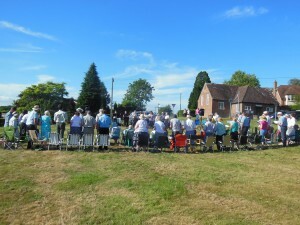 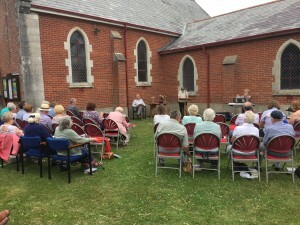 On Sunday 9th July at 6.00 we’ll join with our local Anglican and Woodlands Methodist friends on Holt Village Green for our annual open air ‘Songs of Praise’. 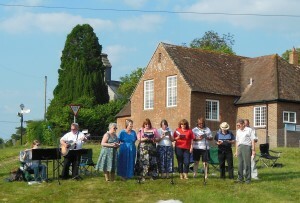 The evening will be led by Revd Suzie Allen and Revd Nigel Deller with music by HMB. 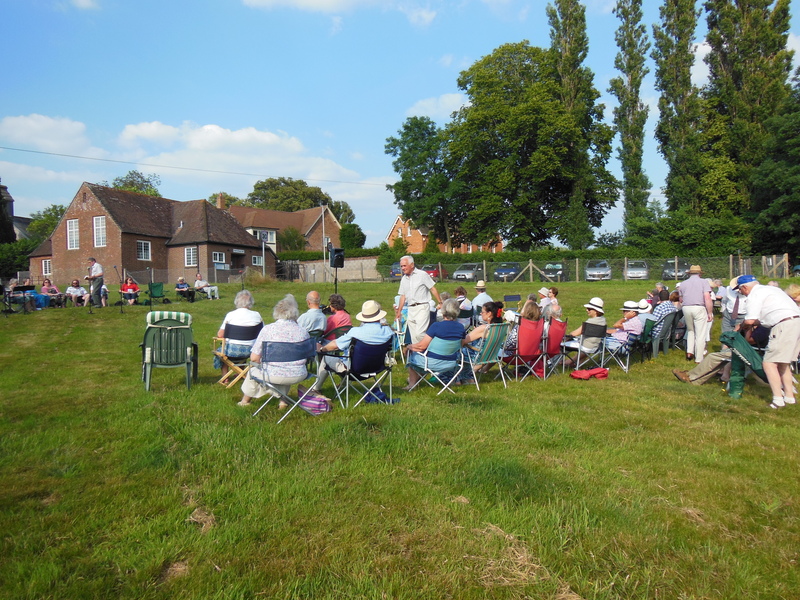 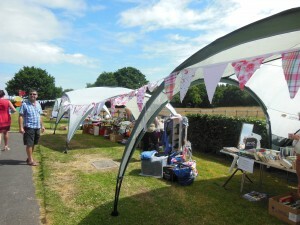 If it’s wet we’ll be in St James’ Church at Holt – but hopefully we’ll see you on the Green in the sunshine! 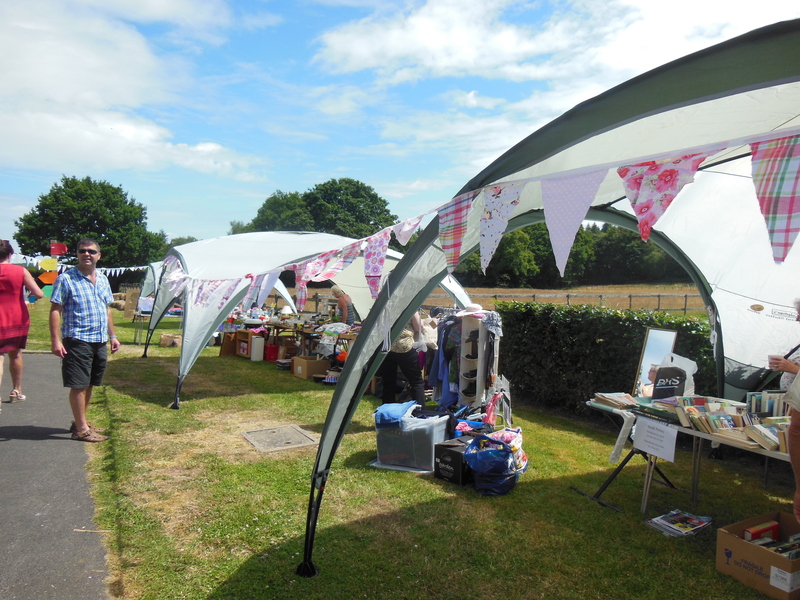 Our Summer Fair is coming up on Saturday 8th July between 12.00 & 4.00. 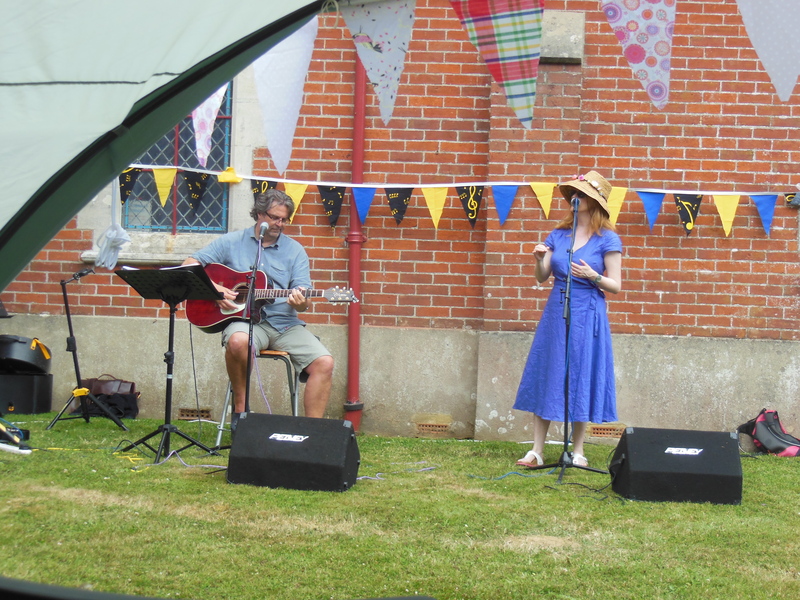 Lots of stalls, games, strawberry cream teas, etc – and live music from pop duo Mel and Me, singer/songwriter Vic Salt, top folk duo No Fixed Abode – and I’ll be playing a few pieces along the way as well. Hope to see you there – in the sunshine!